SEO or search engine optimization remains to be one of the critical factors in internet fortune throughout 2018. Despite the doomsday calls talking about the death of SEO, it stays alive, well and more important than ever. There are a few key reasons for it that are covered through a creative infographic on seobook. Firstly, if search engines put up nothing but ads, people would simply move their search queries somewhere else. Secondly, Search engines incentivize content publishers to mark up and rank their content through SEO. So, search engine optimization isn’t dead. How do you take advantage of it? Before getting your website onto the first page of the search results, you have to understand how sites are ranked. The three keys are set up, content and links. Content will be covered in depth, while setup and linking will be briefly overviewed in addition, depending on relevance. The elephant in the room needs to be addressed – there is no replacing good content. Any business, blog or portfolio won’t’ go anywhere if they do not have good content. Just showing up on the search results don’t guarantee conversions. The bottom line is that the user comes for content. As dynomapper.com put it: you need to have authoritative content. There is no going around it. The real SEO work starts similarly to most projects – research. In this case, it is paramount to prepare yourself well through keyword research. If you’re attempting to build your page’s rank on the wrong keyword, or a key phrase that isn’t searched for, chances are, you won’t get any traffic. This is where cutting corners might be fatal for the project as it handicaps the following procedures. For the uninitiated, hubspot.com has prepared an up to date and straightforward guide to keyword research, relating to SEO. A perfect example of bad practice is something called an SEO bucket or keyword stuffing. This method creates content that is meant to be read by search engines, not users. This can most often be identified by a piece of content, that is dry, poorly written and is littered with repeating keywords throughout the text, that at times feel forced. This used to be a popular method of attempting a higher ranking, but it still doesn’t replace good content. Besides, Google has refined its search engine algorithms to become more complex, than just scanning for a keyword count. You may be tempted to pursue this, noticing a short-term increase in ranking, but as wordstream.com suggests, safely inserting keywords, and avoiding overstuffing is the best and most surefire, if a slower way of increasing your SEO. Google searches for more than just one word. Synonyms, well thought out use of language tends to have better long-term effects. The next thing to cover is on-page optimization. 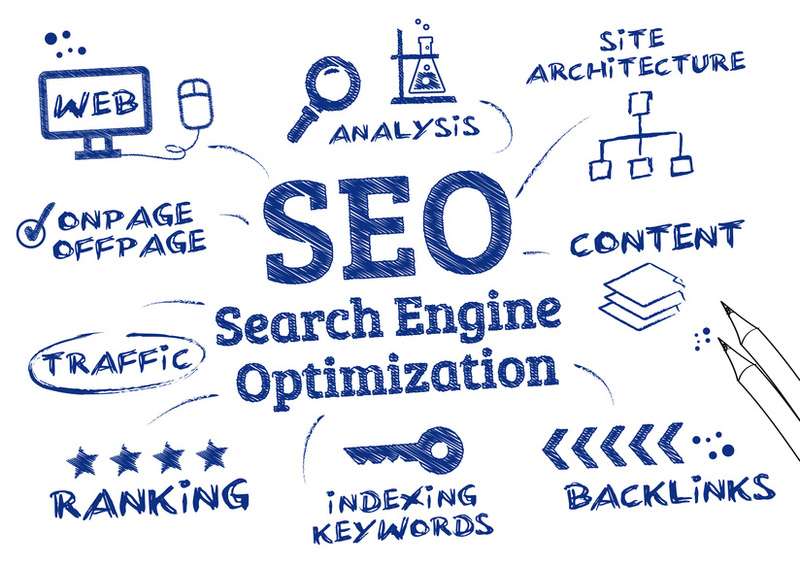 The definition is well covered by a tool that is widely used by most SEO gurus – https://www.searchmetrics.com/. This term refers to measures taken on a page, that aim to improve search ranking. This is the umbrella term for the practice of using keywords, meta tags, and meta descriptions strategically. On-page optimization guides help you point your attention to places, that you previously may have overlooked. This includes small nuances, like starting your title tag with your intended keyword. Also, modifiers will also help you rank broader through long tail versions. The second highly advised practice is wrapping your headings and subheadings. Wrapping refers to using heading tags supported by most Content Management Systems. In a system like WordPress, you would have to wrap your title, or header text in <h1>at the start and </h1> to close it, while the subheading would be wrapped as <h2> and ended with </h2>. If you use a keyword in these headlines and subheadings, it will make it easier for the search engine to rank and categorize your page. Yoast.com has a great article that goes into detail on the importance of headings both in content and SEO. While we’re on the subject of headers, a few notes on meta titles and meta descriptions should be added. A meta title or a title tag refers to the deadline of your page or post, and it is the first thing the search engine looks towards. This is the text that shows up on the search results as the title of the page. Not only does it profoundly impact SEO, but it’s also what will most likely make the difference between the click for the user. The title tag should without a doubt contain your focus keyword. The meta description is the text that goes right under the title of your page in the search results. Similarly to the title tag, the meta description will provide the search engine and your potential visitor with further information on what can be found on the page. Here you should focus a lot of attention on the copy, to balance both SEO and the user. Title tags and Meta Descriptions are covered with all the technical notes on a great article from moz.com, where you can see code examples and learn about good practices. Here you would also have to be mindful of using internal links, that link to other pages on your website, as well as outbound links. Using multimedia, and other tools that increase page engagement will also help with achieving a higher rank, as interaction and time spent on a page are a crucial factor in ranking. Those images you’re putting next to your content, may add on to the value to the users, and increase your retention time, but it says nothing to the search engine. That’s why you should keep in mind, that the name of the files and images you upload are almost as important as the content. Here, it is advised to use your target keyword in image names, that way you can essentially let the search engine know that images are related to the subject of the page. Content can be a bit daunting when you’re trying to balance both SEO and having engaging, well-written pieces. As with most things, the key is knowledge. The more you have, the more ways you will find to create content that will build on one another. Why SEO is inescapable in your business Everest climb? Why is Content Marketing Essential for Your Company?